Like many of the ‘greats’ of social psychology, Muzafer Sherif is frequently cited in the textbooks for his most famous research – on the autokinetic effect, and the Boys’ Camp Studies. At the same time, his wider intellectual and political perspective, and his vision of the discipline as a whole, has generally been ignored Recently, however social scientists from across the world have started to pay attention to Sherif’s critical contribution to social psychology. Books have been written, symposia organised. So, what was Sherif’s wider contribution? And what was the context from which it arose? Muzafer Sherif’s life was shaped by his experience of a turbulent historical period: the final years of the Ottoman Empire, the rise of the Turkish Republic, one party regime in Turkey, the Great Depression of 1929, Hitler’s rise in Germany, the Second World War, McCarthyism in the US in the 1950s and finally the Cold War period (Aslıtürk & Batur, 2007, pp.9-10). Sherif developed his social psychology in a catastrophic context of war and ideological conflicts. Moreover, he was actively involved in the politics of these times, particularly during his years in Turkey. Looking at his entire life, one cannot help thinking that there are two Sherifs: one is a brilliant social psychologist; the other is a political activist who had to flee his country and died in exile. Sherif’s life, like his times, was full of difficulties. His life was divided between Turkey and the US. This sharp separation of life between two countries can be seen as a voyage from Muzaffer Sherif to Muzafer Sherif, from one life to another (Batur & Aslıtürk, 2007). As Çetik (2007) states, for Sherif, there was a transition from the ‘membership group’ to the ‘reference group’. Nonetheless, the two sides of Sherif, and the two periods of his life, are also intimately interlinked. Sherif’s academic work was social in the sense that it was immensely influenced by sociopolitical events. He passionately devoted all his scientific activity to the ideal of universal peace and cooperation. And we can only understand how that happened if we try to recover his ‘unknown’ early years in Turkey. Muzafer Sherif was born Muzaffer S¸erif Bas¸og˘lu in 1905. He came from a small town (Ödemis¸, near Izmir) in 1905, one of the five children of a wealthy family. After attending the Elementary School of Ödemis¸ for six years, Sherif, like the children of other well-to-do families, went to Izmir International College (Çetik, 2007). By 1922, when Sherif was 17 years old, he had lived 11 years of his life in a country riven by war and ethnic conflict (see Ahmad, 1993; Zürcher, 1993). He had witnessed rising nationalisms, during the 1911 Libyan War, the 1912 and 1913 Balkan Wars and the 1914 outbreak of the First World War, during which the Ottoman Empire was an ally of Germany. He had lived through the deportation of Armenians in 1915 (even in a little place like Ödemis¸ some 1500 people were expelled – see Kévorkian, 2006), and between 1918 and 1924, while in Izmir, he had witnessed the occupation of the city by Greek soldiers, and then reoccupation by Turkish soldiers during the Turkish National Independence War. Sherif saw his survival as a ‘miracle’ (Trotter, 1985). After graduating from International College in 1924, Sherif enrolled in the Philosophy Department at Istanbul University. He also participated in political debates on the modernisation (which Sherif strongly supported) and westernisation processes in the new Turkish society. In this context, the young student became interested in McDougall’s ‘hormic psychology’ (which, in contrast to behaviourism, emphasised the purposive and goal-directed nature of human action). Sherif translated McDougall’s Physiological Psychology (1905) into Turkish and also, by way of comparison, the behaviourism chapter of Ogden’s Meaning of Psychology (1926). After graduating, Sherif went to the US for his MA and PhD studies. Sherif’s MA years were the time of the Great Depression in the US. Under the influence of Gordon Allport at Harvard, he widened the scope of his intellectual interests towards other fields of social sciences. During this period Sherif was moving away from McDougall’s intentionalism towards a focus on the social structuration of perception and understanding. This change led him to experimental studies of ‘prestige-suggestion’ which became the subject of his MA thesis (Batur, 2014). After finishing his MA degree at Harvard, Sherif visited Europe in 1932. Under the influence of two of his teachers, Gordon Allport and Caroll Pratt, he went to Berlin in order to attend the lectures of Köhler. Here he witnessed the rise of Nazism (Granberg & Sarup, 1992). Intellectually, Sherif’s letters to Allport reveal that he was planning to work on a social psychological theory of (social) perception based on gestalt principles (Samelson, 2007). In the autumn of 1933 Sherif went back to Harvard for his PhD. He contributed to the work of Hadley Cantril and Gordon Allport on radio psychology (Cantril & Allport, 1935) and developed a psychology of slogans (Sherif, 1937a). In terms of sociopolitical developments, there were Roosevelt’s New Deal policies against the economic crisis, and in 1935 the Comintern took a decision to promote broad popular fronts with social democratic parties in order to form a worldwide anti-fascist front. These developments constituted a convenient milieu for communist ideas in the US, especially among academic circles. Like other Turkish intellectuals who visited the US in those years (Atılgan, 2009), Sherif is thought to be influenced by this context and to have developed a Marxist social analysis to stand beside his psychological gestaltism. He was influenced by the Deweyian socialist journal Social Frontier, which supported collectivism against individualism, and on his return to Turkey he continued to promote both the journal and Dewey’s ideas (Sherif, 1937b). Sherif fell out with Allport both personally and intellectually and so transferred from Harvard to Columbia, where he completed his PhD with Gardner Murphy. His thesis was titled ‘A study of some social factors in perception’ (1935). His main question was ‘What is the psychological basis of social norms or frames of reference, and how do they work?’ (p.10). The work has since gained foundational status in social psychology through its publication, in 1936, as A Psychology of Social Norms. After the doctorate Sherif returned to Turkey where his politics, his psychology, and the links between them, became ever more clearly defined. He was in contact with the Communist Party of Turkey. During the years of WWII, he published in Adımlar [Steps] journal with Behice Boran, another Marxist sociologist and important political figure after the war. Sherif struggled against the rising tide of fascism and racism in Turkey (e.g. Sherif, 1943a, 1944). Like many, he believed in modernisation, but he was distinctive both in distinguishing modernisation from westernisation and in challenging top-down models of social change. At the social psychological level, Sherif honed the idea that human thoughts, goals and desires (our ego functions, in his terms) are not inborn or absolute, but take shape in society. It is not that people are inherently individualistic and antagonistic, thus legitimising a society based on private property as a reflection of ‘human nature’. It is more that a society based on private property creates atomised and antagonistic individuals. Hence, if we want to challenge moral collapse in society, education is insufficient, we need to change the fundamental structure of our world. Social harmony depends upon creating a harmonious social order. But if society creates the person, Sherif also believed that people are active agents in creating society. More specifically, he proposed that individuals don’t just operate within a pre-given frame of reference but are able to develop their own frames of reference (Sherif, 1938a,b). Sadly, however, this important work has never been translated from the Turkish. Sherif’s increasingly bold rhetoric did not go unnoticed, especially when he began to attack those important Turkish bureaucrats who supported the Nazis. But Sherif was not deterred. He explicitly sided with the anti-fascist camp during a conflict at his university. He boldly opposed a discrimination case targeting a Jewish student (Batur, 2013). He published a book against racism Irk Psikolojisi [Race Psychology] (1943b). All this led him to be detained in 1944 as part of a process targeting members of the Turkish Communist Party. He was released after four weeks and he then left Turkey in early 1945 with a US State Scholarship. In 1947 Sherif was dismissed from his position at Ankara University, ostensibly because he was married to a foreigner, but in reality because of his politics. All the other anti-fascist professors were dismissed from the university in 1948. In 1951 many of his close friends were arrested during an anti-communist purge. Sherif’s links with his homeland had come to a close. Sherif produced some of his important work in the early days of his return to US. First, working with Hadley Cantril at Princeton, he produced his clearest statement of the social basis of human psychology. This was The Psychology of Ego Involvements, published in 1947 – just before the Cold War gained momentum and a period in which anti-fascist, anti-racist and Marxist ideas were popular in social scientific academic circles in US. In the book Sherif and Cantril compared Soviet and American societies, arguing that very different values and beliefs flowed from very different socio-cultural contexts. Once again, Sherif’s enduring message was clear: an individualistic, competitive and conflictual society is not unavoidable (Aslıtürk, in press). After his period at Princeton, Sherif moved to Yale and soon thereafter to Oklahoma where he remained until 1966. In the 1950s his political views became less popular. The Cold War, McCarthyite witch hunts in the US (which touched Sherif himself insofar as he was the subject of a comprehensive FBI investigation in 1951 – see Batur, in press) and the oppression of his friends in Turkey all took their toll on Sherif personally, politically and professionally (Aslıtürk & Cherry, 2003). He became less explicit about his Marxism. But nonetheless one can still see a continuity in his core ideas. this possible (Valentim, 2007). Finally as Cherry (1995, p.106) states, ‘the Sherifs were bringing an optimistic and liberatory message that people could get along and work for common goals if the conditions were right’; this even in the dark days of the Cold War. Even at the end of his career, in the 1970s Sherif maintained his focus. In critical interventions in the debate on the so-called crisis in social psychology (On the Relevance of Social Psychology, 1970; Crisis in Social Psychology: Some Remarks Towards Breaking Through the Crisis, 1977), Sherif questioned the values guiding social scientific studies. He argued that the characterisation crisis in social psychology as the ‘crisis of confidence’ was itself a psychologisation of the crisis. He was critical of the ‘publish or perish’ attitude in academy. He stated that ‘mostly because of the unrelated idiosyncratic variables and scientistic technical sophistications’ research in social psychology was ‘too myopic, too ethnocentric, too fragmented and too incoherent’ (p.372). Above all, he insisted that any solution to the crisis depended upon a clear and critical perspective on the nature of the social world. Without that, social psychology will always be inadequate. Sherif retired from Pennsylvania State University in 1972. He died, in Alaska, in 1988. His work on social norms and on the boys’ camps is still cited in the textbooks, but in a way that divorces them from the wider intellectual project that Sherif pursued throughout his career. That project remains to be discovered in full and to be acknowledged in psychology and beyond. What is more, such a (re-)discovery is important in order to understand that the current problems of (social) psychology are not really new, and a solution of these problems requires political and ‘social’ commitments, a clearer understanding of the social nature of mind, and not simply greater methodological sophistication and technical progress. We believe that the roots of such understanding can be traced in Sherif’s own scholarship and that scrutiny of his personal and academic life will pave the way to scrutinise our own positions and responsibilities. Ahmad, F. (1993). The making of modern Turkey. London; New York: Routledge. Aslıtürk, E. (in press). Muzafer Sherif in America: Confidence, crisis and beyond. In A. Dost-Gözkan & D. Sönmez Keith (Eds.) Norms, group, conflict, and social change: Rediscovering Muzafer Sherif’s psychology. New Brunswick, NJ: Transaction. Aslıtürk, E. & Batur, S. (2007). Muzaffer Şerif’ten Muzafer Sherif’e: Giriş. In S. Batur & E. Aslıtürk (Eds.). Muzaffer Şerif’e armağan: Muzaffer Şerif’ten Muzafer Şerif’e (pp.9–20). Istanbul: İletişim. Aslıtürk, E. & Cherry, F. (2003). Muzafer Sherif: The interconnection of politics and profession. History and Philosophy of Psychology Bulletin, 15, 11–16. Atılgan, G. (2009). Behice Boran: Öğretim üyesi, siyasetçi, kuramcı [Behice Boran: Academician, politician, theoretician]. Istanbul: Yordam. Batur, S. (2013). Muzaffer Şerif’in Türkçe metinleri neden okunmalı? Muzaffer Şerif Sempozyumu, 3–4 November, Ödemiş, Izmir. Batur, S. (2014). A young scientist in a changing world: Muzafer Sherif’s early years in Turkey. (Unpublished manuscripts). University of Vienna. Batur, S. (in press). Muzafer Sherif in FBI files. In A. Dost-Gözkan & S. Sönmez Keith (Eds.) Norms, groups, conflict, and social change: Rediscovering Muzafer Sherif’s psychology. New Brunswick, NJ: Transaction. Batur, S. & Aslıtürk, E. (Eds.) (2007). Muzaffer Şerif’e armağan: Muzaffer Şerif’ten Muzafer Şerif’e. Istanbul: İletişim. Cantril, H. & Allport, G.W. 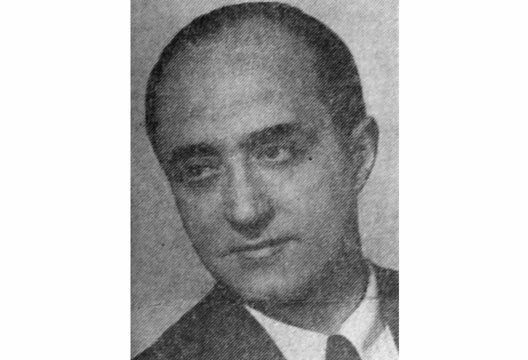 (1935). The psychology of radio. New York: Harper & Bros.
Cherry, F. (1995). The stubborn particulars of social psychology: Essays on the research process. London: Routledge. Çetik, M. (2007). Muzaffer Şerif karanlık odada: Türkiye yılları. In S. Batur & E. Aslıtürk (Eds.) Muzaffer Şerif’e armağan: Muzaffer Şerif’ten Muzafer Şerif’e (pp.23–54). Istanbul: İletişim. Granberg, D & Sarup, G. (1992). Muzafer Sherif: Portrait of a passionate intellectual. In D. Granberg & G. Sarup (Eds). Social judgment and intergroup relations: Essays in honor of Muzafer Sherif (pp.3–54). New York: Springer -Verlag. Kévorkian, R. (2006). Le génocide des Arméniens [Armenian genocide]. Paris: Odile Jacob. McDougall, W. (1905). Physiological psychology. London: J.M. Dent. Ogden, C.K. (1926). The meaning of psychology. New York/London: Harper & Bros.
Rohrer, J.H. & Sherif, M. (Eds.) (1951). Social psychology at the crossroads. New York: Harper. Samelson, F. (2007). Muzaffer Şerif’in sosyal psikoloji görüşlerinin doğuşu üzerine bir not [A note on the emergence of Muzafer Sherif’s views of social psychology]. In S. Batur & E. Aslıtürk (Eds.) Muzaffer Şerif’e armağan: Muzaffer Şerif’ten Muzafer Şerif’e (pp.131–135). Istanbul: İletişim. Sherif, M. (1935). A study of some social factors in perception. Archives of Psychology, 187, 1–60. Sherif, M. (1936). A psychology of social norms. Oxford: Harper. Sherif, M. (1937a). The psychology of slogans. Journal of Abnormal and Social Psychology, 32, 450–461. Sherif, M. (1937b). Roosevelt Amerikasında terbiyede fertçiliğin yıkılışı [The collapse of individualism in Roosevelt America]. Ülkü, 10(55), 43–49. Sherif, M. (1938a). ’Tab-ı beşer’ hakkında [On essence of man]. İnsan, 1(2), 109–116. Sherif, M. (1938b). Benliğin doyurulması [Satisfaction of ego]. İnsan, 1(3), 197–203. Sherif, M. (1943a). Hümanizma görüşümüz [Our humanism view], Adımlar, 1(8), 249–251. Sherif, M. (1943b). Irk psikolojisi [Race psychology]. Istanbul: Üniversite Kitabevi. Sherif, M. (1944). İleri fikir geri fikir münakaşası [Discussion on progressive thought and backward thought]. Adımlar, 1(9), 305–306. Sherif, M. (1948). An outline of social psychology. New York: Harper. Sherif, M. (1970). On the relevance of social psychology. American Psychologist, 25, 144–156. Sherif, M. (1977). Crisis in social psychology: Some remarks towards breaking through the crisis. Personality and Social Psychology Bulletin, 3, 368–382. Sherif, M. & Cantril, H. (1947). The psychology of ego-involvements: Social attitudes and identifications. Hoboken, NJ: John Wiley & Sons. Sherif, M. & Sherif, C.W. (1953). Groups in harmony and tension. New York: Harper. Sherif, M. & Wilson, M.O. (Eds.) (1953). Group relations at the crossroads. New York: Harper. Sherif, M. & Wilson, M.O. (Eds.) (1957). Emerging problems in social psychology. Norman, OK: University of Oklahoma Book Exchange. Sherif, M., Harvey, O.J., White, B.J. et al. (1961). Intergroup conflict and cooperation: The Robbers Cave experiment. Norman, OK: University of Oklahoma Book Exchange. Trotter, R.J. (September, 1985). Muzafer Sherif: a life of conflict and goals. Psychology Today. 19, p.54. Valentim, J.P. (2007). Sherif’in teorik görüşleri ve gruplar arası ilişki Çalışmaları: Olumlu bir karşılıklı bağımlılık için notlar [Sherif theoretical concepts and intergroup relations studies: Notes for a positive interdependence]. In S. Batur & E. Aslıtürk (Eds.) Muzaffer Şerif’e armağan: Muzaffer Şerif’ten Muzafer Şerif’e (pp.179–192). Istanbul: İletişim. Zürcher, E.J. (1993). Turkey: A modern history. London/New York: Tauris.